HAIL, Heart of my Jesus-----save me! Hail, Heart of my Savior-----deliver me! Hail, Heart of my Judge-----pardon me! Hail, Heart of my Spouse-----love me! Hail, Heart of my Master-----teach me! Hail, Heart of my King-----crown me! Hail, Heart of my Benefactor-----enrich me! Hail, Heart of my Pastor-----keep me! Hail, Heart of my Friend-----caress me! Hail, Heart of the Infant Jesus-----attract me! Hail, Heart of Jesus dying on the Cross-----atone for me! Hail, Heart of Jesus in all its Conditions-----give Thyself to me! Hail, Heart of my Brother-----remain with me! Hail, Heart of incomparable Goodness-----forgive me! Hail, Heart most Glorious-----shine forth in me! Hail, Heart most Amiable-----inflame me! Hail, Heart most Charitable-----work in me! Hail, Heart most Merciful-----answer for me! Hail, Heart most Humble-----repose in me! Hail, Heart most Patient-----bear with me! Hail, Heart most Faithful-----make satisfaction for me! Hail, Heart most Adorable and most Worthy-----bless me! Hail, Heart most Peaceful-----calm me! Hail, Heart most Desirable and most Beautiful-----delight me! Hail, Heart most Illustrious and most Perfect-----ennoble me! Hail, Heart most Holy, Balm most Precious-----preserve and sanctify me! Hail, Heart most Holy and most Salutary-----reform me! Hail, Heart most Blessed, true Physician and Remedy for all our ills-----heal me! 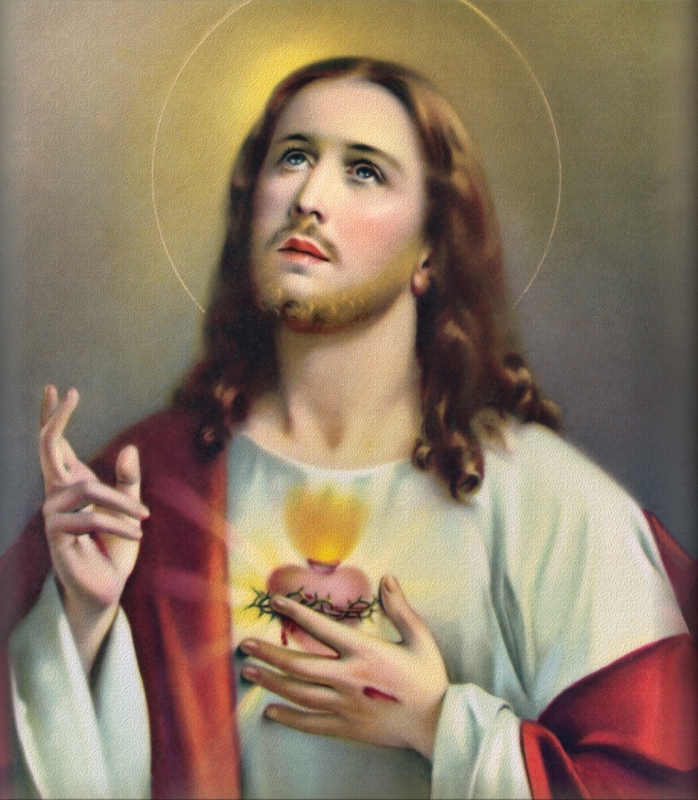 Hail, Heart of Jesus, Consolation of the afflicted-----comfort me! Hail, Heart most loving, ardent Furnace burning with Love-----consume me! Hail, Heart of Jesus, Model of Perfection-----enlighten me! Hail, Divine Heart, Source of all Happiness-----strengthen me! Hail, Heart of eternal Benediction-----call me to Thee! O MY Savior! with sincere humility I adore Thee, and offer Thee up, by the hands of the priest, to Thy Heavenly Father in reparation for my sins and for the sins of the whole world. Most precious Blood, flow on my soul and sanctify it! May the love through which Thou wast shed for me be enkindled in my heart, and purify it!